It would be logical for the culture of a distant planet unconnected to Humans to be…well…alien. A different social and family structure, different legal system, different religion. But maybe some things aren’t that alien: war, politics…murder. 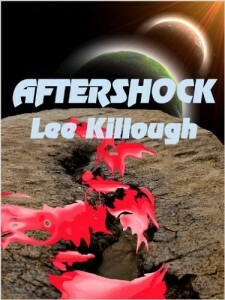 A natural disaster like an earthquake would seem to be perfect cover for murder. But the murder is discovered, with the prime suspect a member of a family allied to Emperor Benamea Haneem. Lord Edo Ishda, brother to the Emperor, must discover the truth and see justice done in a situation where every solution threatens to be political dynamite for the Emperor.